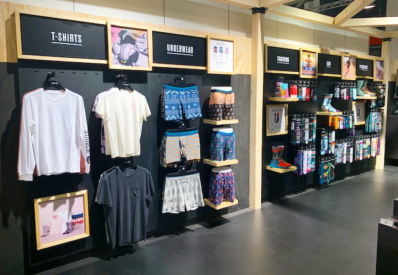 One of our clients, Stance, is currently exhibiting at ISPO Munich, a leading trade fair that goes on every year between 3-6 February. Munich is a long way from home, but we were able to create several portable elements for their stand so that they could keep their brands style and display their products how they usually would in stores. We made the back wall panels, the header panels, the header graphics and the shelves.